So here I sit, still reeling from the amazing El Monstero show I saw last Saturday…and I’m bummed out because I don’t have a ticket stub. 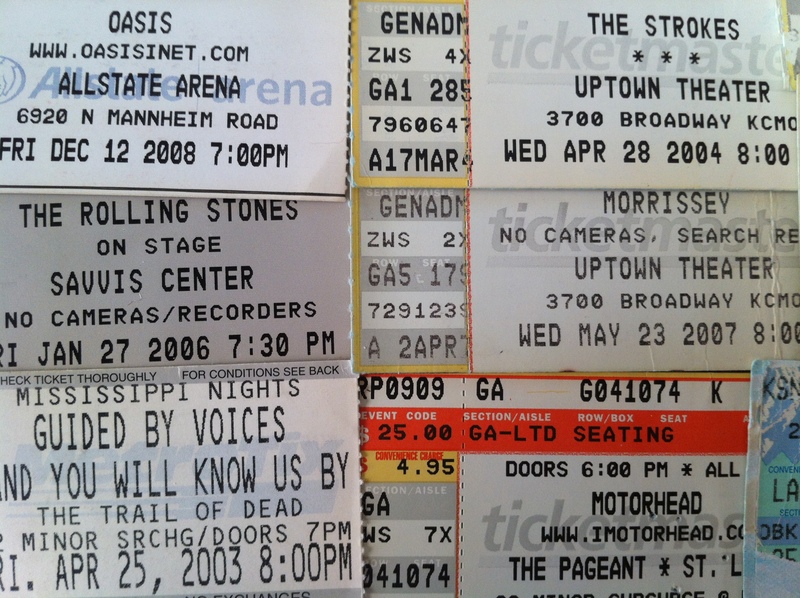 I got out my little box of old ticket stubs last night and took a stroll down memory lane. Each little scrap of paper was a memory. I know that saying this will instantly make me an old man, but: “Man, I miss ticket stubs.” My El Monstero tickets, like most of my tickets nowadays, was a just a printed piece of paper. It got all mangled and wadded up, so I threw it away. Years from now, I will have no tangible link to this show. That’s a bummer. Printing tickets at home is cool, when it is FREE (which isn’t offen enough for my tastes), but mostly I pine for the days of paper tickets. Ticket stubs are such a cool keepsake, it’s a shame today’s youth are going to miss out on them. Am I crazy? Is this not that big of a deal? Tell me what you think in the comments section.